* Create a budget: First things first, create a budget so you know how much you can spend. This is really important because you don’t need the added stress of renovating and spending when you can’t afford it. Be realistic, and remember, there are so many different businesses on the market, that even if you are working to a tight budget, you should be able to still get some major work done to your kitchen. 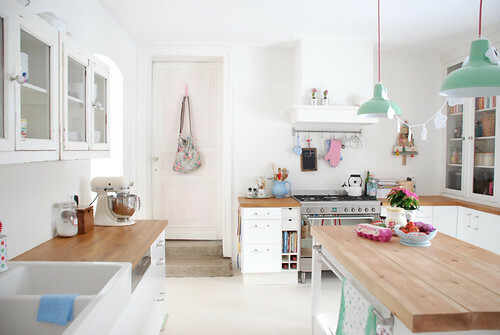 * Shop around: You want to make sure that you don’t go with the first kitchen reno company you come across. Get at least three quotes, ask friends for referrals, and when you do have reps come to see what needs to be done, talk to them in detail about what you want, so that you can get a really good idea of how much it will cost you. * Look at things that can be reused: For example, if your tiles are in good condition, perhaps they can be left and worked into the new design? * DIY: If you are confident in your own skills, or have the time to do a bit of research and learn how things are done, you should look at doing most of the renovations yourself. While certain parts will definitely need to be left to the professionals, there’s no doubt that you should be able to do a number of tasks yourself which will save you hundreds of dollars. * Choose a few more expensive elements to focus on: If you are working on a limited budget, the best thing to do is write a list of some of the major areas where you want to spend your money. This could be by investing in a top of the line bosch dishwasher or you may want a designer Italian sink with fancy faucets. Whatever it is, make a wish list of items, and cut it down to a few things that fit within your budget. * Aesthetic touches: Sometimes the things that will make the biggest difference to how your kitchen will look, are easy to do yourself. Simply by painting or changing your kitchen cupboard doors and handles it can make a huge difference to how your kitchen looks overall. Once everything is done, and you have a few new appliances installed, make sure you update your home and contents insurance. Most of all, saving money on your kitchen design is all about taking your time to shop around for the best deal, and when possible, learning how to do things yourself. If you aren’t afraid to get your hands dirty this is truly an easy way to save yourself hundreds if not thousands in kitchen renovation costs.